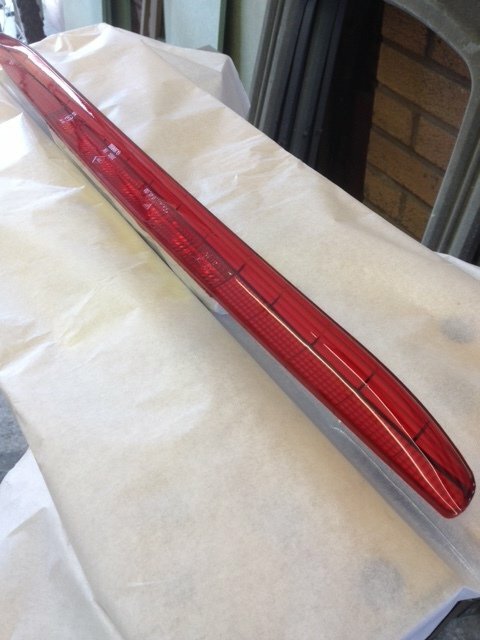 3rd brake light, Satin or Gloss? 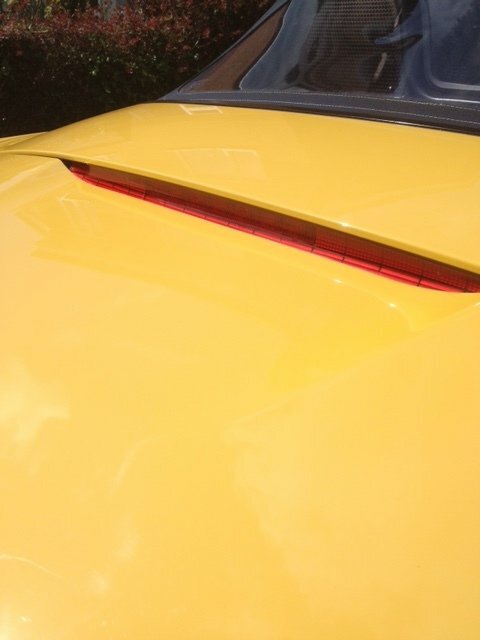 Im not sure if my 3rd brake light should have be a gloss finish, since iv had the car its had a satin almost matt look to it. Me being a bit of a mag pie I decided to remove it and get some 2 pack clear coat on it. I had my spray gun out anyway as I removed the leather covering I put on my door bin lids last week and sprayed them silver. I did a good job of the covering but it wasnt my cup of tea. Ill post a pic when I get these back on the car..... wont be for a few days tho as its away for 3 days getting its wheels powder coated. Last edited by YellowS2000; 08-06-2017 at 11:15 PM. That finish is stunning. What was your process? 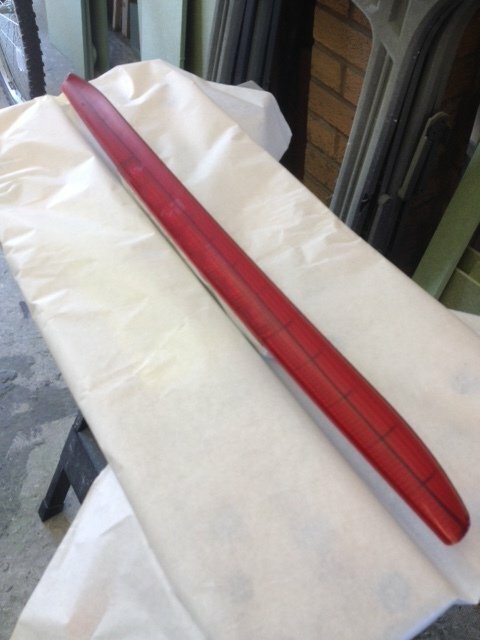 I then applied some high build primer left it over night and then wet and dry that with 800. 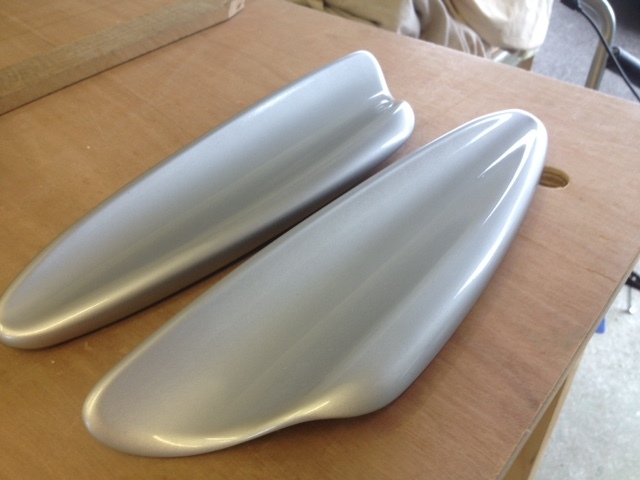 I then sprayed on the silver 2 pack base coat then some 2 pack clear coat. ^ haha that's great! 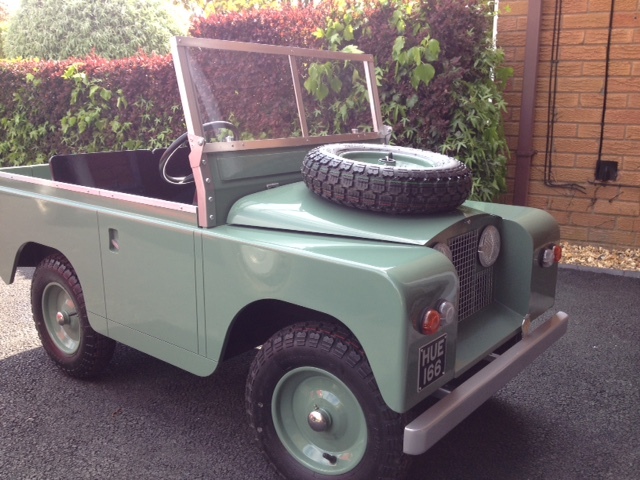 My dad's had his series2 landrover from new, been daily driven for the last 50 years and still going strong. Worth way more than my boxster nowadays! I don't think Id like a full size one, a bit to utilitarian for me, same daily driver for 50 years is awesome tho! Well done that man. I think the lens is supposed to be gloss. I took mine off and hit it with plastic polish a few months ago. Made a nice improvement. Yes, plastic polish would have been sufficient.